Do not forget in the darkness what you have been promised in the light. It is so simple, and yet this weekend it seemed hard to remember. The anger of Friday melted into grief, into crying out to the Lord and asking Him how I could more effectively serve His people. As God would have it, the day after Friday is Saturday, and there really is no better affirmation than 350 children flooding through my gate to worship the Lord and eat chicken together. As satan would have it, later that night I found that several people who I have grwon to love and trust have cheated and lied to and stolen from me. The details are not important, but needless to say, I ended the day feeling betrayed and alone, again questioning, "What is it all for." I woke up (did I ever sleep?) Sunday morning to diahreah all over EVERYTHING in Grace and Jane's bed. (I know that is kind of a gross thing to share, but I am trying to paint a picture of my destparation for you here ;) ). The girls had decided to make the best of the situation and proceed to pain everything in the room with poop. Great. After deciding that church was more important than poop, I threw all the sheets in the bathtub and rounded up the gang, but only after packing up all Michael's clothes, lots of long-life milk and multivitamins for him. He was going home. I cried through the service at the thought of having to take him back. This precious child that I had so fallen in love with going back to a place where there was no garuntee that his mother would not simply sell the milk we sent with Him. And God spoke so plainly. He did not appologize for my heartache, even better, He shared it. He KNEW. Because the pain in my heart at having to give up a little boy that I have loved for a month did not even come close to the pain it cause Him to give up His only Son. And He did that for me. The pain in my hear that felt so unbearable was just a fraction of what he felt when He sent His ONE AND ONLY CHILD to save us, to allow us to spend eternity with Him. Wow. That is what it means that I do this for Jesus. HE loved me first. I love Him back. And sometimes it hurts. But even then it is pure joy to even be considered worthy to share in His suffering. That is the promise. Not that He is sorry that it hurts. But that He sees. That He knows. That He is here with us. just want you to know that God is breaking my heart for the people of Uganda; I am praying for your strength. What an amazing blog. What an amazing journey you are on. I will pray for you as you care for and love these children. Know that even when they have to go back to their mother's or family, you have left a handprint on their heart. You have loved them! You don't know me, but you are seriously one of the greatest people I have ever read about. Your compassion and love are beautiful. Please stay encouraged because you are doing exactly what God asks you to and you will be/are being blessed by it. My wife and I are praying for you and all your kids. i miss you so much and am so jealous of my parents to be able to come see you and the girls!!! i have been, and will continue to pray for you everyday!!! God bless you sweet dear mom. I wish your heart did not ache, but I know that what you live and share and breathe is to the GLORY OF THE LORD! Thank you Katie. I am humbled and rocked to the core every time I read your posts. Thank you. Thank you. Thank you! I do not pretend to understand the love of God. Its too deep and unfathomable. I don't understand why God would allow people, let alone children, to live as they do. My prayers go with you and Micahel as he goes back to his family. May God bless him and may he bless you. We're here, too. We see. And we're holding you all close in prayer. As you lay everything in your life on the altar before God an amazing thing happens. You realize that no one can steal from you. It wasn't yours to begin with. No one can take advantage of your trust. Your trust is in the Lord not in man. I say this as one who is trying to live out God's call in the life of my family and dealing with some issues that sound like yours. I had the blessing of not being able to address the issue with the person who had trespassed for several weeks. That is the realization that we came to as a family. No one can take from us what isn't ours. "But I say to you, do not resist him who is evil; but whoever slaps you on your right cheek turn to him the other also. And if anyone wants to sue you, and take your shirt, let him have your coat also. And whoever shall force you to go one mile, go with him two." Many people look at the Beatitudes as unreachable and unattainable goals. What if instead of explaining away the words of our Savior we believed them instead? It is hard, impossible in fact without the help of Christ. Your life is not your own, your belongings are not your own, and your grief is not your own. I say to you today, you can rejoice because you have been deemed worthy to suffer as Christ has suffered. Just as you were betrayed by a friend, so was Jesus. He is here with you, you are not alone. He understands your pain. Continue pushing forward for the cause of Christ. Thank you for opening your life so we can lift you up in prayer. I want you to know we are praying...may of us strangers....are praying and seeing God on your behalf. We are in awe of your walk with Him and YOU are INSPIRING US! prayers coming NOW! I sent an email to your website but want to go ahead and ask you, what are your current needs? If people are wanting to help now, what should we do besides pray? Send blankets, soap, clothes, money? What will best help you right now? So sorry to hear of someone stealing and lying to you but I am not surprised..satan is at work to ruin you Katie..but I know you are way to tough for him. God has His precious hand on you! You are touching so many lives every day. I love to tell people to get on your blog..it is life changing to hear your heart! Thank you,Thank you,Thank you! Thank you for your heart of love for our dear and precious savior. I'm so sorry you are having a hard week. I just read the book Scared by Tom Davis so I have been brought to tears reading your reality after just reading that book. My prayers are with you and thank you for following God. and I am encouraged by you heart, because, yes, there are hard days, hard times. Thanks for your honest post! How practically can we help? Please let us know what is needed....obviously prayer! But what else is needed on a practical sense.....what, big or small are you praying and hoping for? the first line is all i needed to be reminded the answer to my questions! You are an amazing teacher Katie. Thank you for showing me what it truly means to follow and love Jesus. A few friends have recently mentioned your blog on FB and I wandered here for the first time Friday night. Boy, am I glad I did. You have hardly left my thoughts since. I am praying for you and crying out to the Lord on your behalf. I am different for reading your story. I want to love these children, too and am praying God makes a way for me to do that. Thank you for being obedient to our Father and inspiring me to do the same. again, there are just no words that seem adequate in response to this. you amaze me. our God amazes me. God through you is amazing!! I just wanted to tell you that I found your blog tonight from Adrienne's blog and I am stunned beyond words at your work. God Bless You. I will try to find the time this week to read every word you have written. I will pray for you every day. My heart breaks with you Katie. I am standing beside you in mourning and prayer tonight. CLINGING TO JESUS WITH YOU! You are a true reflection of Christ. What a good work he has done in you and continues to do in you daily. I admire you and your strength to do what you do and to share JESUS with the world. I know he must be so proud of you! That was an incredibly moving post--you are doing what you do for all the right reasons. There are not many people like you out in the world today, kudos to you for following your calling. You wouldn;t be honest if you didn;t have days like these. It's days like these that bring us closer to Jesus. You are truly an inspiration. Press on, for the Lord has a plan! Yes! I have to remind myself the same thing frequently: Do not forget in the darkness what God has shown you in the light. Not that my life is any bit like yours but the truth of that statement penetrates into my world as well. so very simple.....I love you! its so simple!,.. I LOVE YOU! I am a believer in God, but would not call myself a Christian (mainly because I do not know alot about the Bible, other than the basics). I have lived in many countries and many states in the US...run into MANY people who profess and state loudly that they are Christians, go to church EVERY Sunday, and supposedly are trying to set a fine example of what being a true Christian is. Most have fallen far short and there is only a few who I believe lived and breathed the words they read in the Bible. I do not know you, yet I feel your passion, your pain and your true belief in Him through your words. You have a gift and thankfully, you are using that gift to spread love in this world. I am not sure that I agree that the spreading of love and helping those who need our care the most is through converting them to Christianity, but I can see (read) that you are doing much more than that. I wish you the best in your life and hope that others, with your strength, will join you and share in your journey of giving hope to those who have none. You are truly an inspiration! Thank you for posting the last 2 posts. I read your one from Friday on Saturday night and something snapped in me. The Lord really sparked something on the inside of me and I WILL NEVER BE THE SAME. Thank you for being so obedient to Him. "And God spoke so plainly. He did not appologize for my heartache, even better, He shared it." wow - I 'm so used to the image of Jesus being "sorry" that we're hurting. But - you're so right. You are someone that seems to constantly challenge the notion that we can't possibly use all the love our Father puts into our hearts in one lifetime when you seem to do so in one day! I pray He will continue to replenish you with strength and love when you begin to question if you no longer have any for that minute, hour, or day. You are in my prayers, my friend. I leave you with my favorite verse, Jeremiah 29: 11-14. God bless you and your girls! I feel your closeness to our Savior; He is so close to the brokenhearted. So close. I praise Him that you can hear His whispers...and we are praying for you everyday. Praying for you!!!! Keep on getting strength from Christ. I can't imagine, but I do know God is holding you and all of those beautiful children in HIS HANDS!!! My husband and I have just tonight found you. We will be reading more of your story and praying for you daily. We are going to figure out the best way for our family to support your ministry. You and your children have renewed our spirits and awakened our souls. You have our attention and we are listening. We will help. So sorry that you are going through a tough time. I know, all too well, how lonely it can be to follow Jesus with all of our heart, soul, mind, and strength ... when others may not understand why we do what we do. Be encouraged. Jesus loves you. He is getting ready to give you a huge blessing! It always seems like when I can't take it anymore, He scoops me up and gives me exactly what I needed when I didn't even know I needed it. I love you in Christ, and am lifting you up in prayer every day! I just want to thank you for allowing me to see my Heavenly Father's love through you! You are an amazing spirit and you have not only changed the lives of so many in need in Africa, but you have changed mine. Keep on with your journey. We live a blessed life and are constantly ignoring His call to sacrifice. Sacrifice which is insignificant in the grand scheme of things. God is good and has your back. He loves your work and wants you to keep on in the midst of the battle. thank you katie-- be blessed! Glory belongs to God, whose power is at work in us. By this power he can do infinitely more than we can ask or imagine. WBS Now to him that is able to do exceeding abundantly above all that we ask or think, according to the power that worketh in us. (4) He breaks forth into a thanksgiving, by which the Ephesians also may be strengthened and encouraged to hope for anything from God. 3:20 Now to him. He has offered a prayer, and closes it with a doxology. According to the power that worketh in us. They knew something of the mighty working of the Spirit, and therefore of the Divine power. But God was able to do for them beyond all that they could conceive. 3:20 Now to him - This doxology is admirably adapted to strengthen our faith, that we may not stagger at the great things the apostle has been praying for, as if they were too much for God to give, or for us to expect from him. That is able - Here is a most beautiful gradation. When he has given us exceeding, yea, abundant blessings, still we may ask for more. And he is able to do it. But we may think of more than we have asked. He is able to do this also. Yea, and above all this. Above all we ask - Above all we can think. Nay, exceedingly, abundantly above all that we can either ask or think. 20. unto him-contrasted with ourselves and our needs. Translate, "that is able above all things (what is above all things) to do exceeding abundantly above what we ask or (even) think": thought takes a wider range than prayers. The word, above, occurs thrice as often in Paul's writings, as in all the rest of the New Testament, showing the warm exuberance of Paul's spirit. according to the power-the indwelling Spirit (Ro 8:26). He appeals to their and his experience. 3:20,21 It is proper always to end prayers with praises. Let us expect more, and ask for more, encouraged by what Christ has already done for our souls, being assured that the conversion of sinners, and the comfort of believers, will be to his glory, for ever and ever. God has put you & your family heavy on my heart the last few days. It started Saturday and has gone through today. Sunday everything the pastor preached from Psalm 40 made me think of you or someone you had told us about & pray for them...I don't even know what he was saying you were so heavy on my heart and thoughts. Even last night, I woke up quite a few times thinking of & praying for you guys. fully register with my heart...if you know what I mean. Though I don't think I've ever posted on your blog, I just read your new post & knew I needed to tell you what your heavenly father is doing for you on the other side of the world. So very true, Katie. Nobody knows more about sorrow and sacrifice than He does. And He did it for undeserving US! Praying for Michael, praying for your children, praying for YOU too. Dear Katie, until yesterday I didn't know you exist. First of all, let me apologize for my bad English. I am Croatian. I have a heart for Uganda. My spouse and I sponsor two girls through Compassion for a year now. Lately God gave me more compassion for Uganda and make me feel restless and wanting to do more for children there. And you know how Holy Spirit lead and work, I started to meet other women who have heart for Africa. And yesterday I stumble upon your blog. Reading your posts (only few) I get more vivid images what Uganda really is. I can only imagine, but you are there. I don't know where the Lord leads me yet with Uganda, but as I am a painter, I started an auction blog for Uganda only. May God keep you in His hands and give you strength and strong heart. Amen. Sending hugs and love to you sweet Katie! Prayers of strength and perseverance being lifted up for you each and every day! To be counted worthy to suffer in His name - what a blessing that He allows a glimpse into what He endured for all! I think of the song I can only imagine...when I hear the things you endure on a daily basis! Let it minister to your soul today! And maybe listen to Lead Me to the Cross by Hillsong. I am only one of hundreds of people who have a been convicted and encouraged by your blog. But we serve the same Master and because of that you my sister. Thanks for the glimpse into your heart. God is doing incredible things in and through you and it's a joy to watch! He is building His kingdom around the world and WE get to be a part of that! How incredible is that?! How incredible is He?! What a God! Katie girl you humble and amaze me. Praying for you sister. thanks Katie for reminding me and spurring me on to be more watchful of my selfish ways and that it is all for Jesus...Jesus plus nothing else...I love you guys and pray for you and Michael. My he grow to be the mighty man of God he was made to be. Thank you, Katie. I just found your blog and am astounded and blessed by the work you are doing. I wish I were there with you loving on those precious babies. Oh, look, I'm the first. Good morning sweet friend! Wow, what a privilege that I am broken hearted this week with you and we seem to be learning the same lesson at the same time. Love you! Katie, as always thank you for sharing what the Lord is teaching you. I just wanted you to know I am going to devote today to praying for you and your heart. Love from a fellow sister. I wish there was a word big enough- but it feels not enough and although it isnt me you do this for, please accept my - Thank you. Thank you. Thank you. You are amazing! You are making many people aware of what is needed! Thank you! Thank you for slapping us in the face with the statistics! Christians do need to wake up and get involved! You do not know me, but you have been an inspiration to my wife and me. Thank you so much. Keep up the great work. God bless you and your kids! Katie. Wish you could feel the hug I am sending you from one mom to another. And from a mom to a precious young lady with so much of the world sitting on her shoulders. Be encouraged. Take care of you. You are in my thoughts and in prayers. Katie, you break my heart every time you post, and yet...I was thinking about you yesterday after finding your blog for the first time, and I was realizing that you are so very blessed. Blessed to know what God's plan is for your life, blessed to hear His call so clearly. Because of all you suffer, you have the privilege of an intimacy with and dependence on the Lord that we spoiled Americans in our comfortable homes with our embarrassment of riches can't begin to understand. When the vapor of this temporal life has melted away into a glorious eternity, your reward in heaven will be great, my sister in Christ. You are salt and light in a lost, dark world. I'm praying for you, may God bless and keep you always. 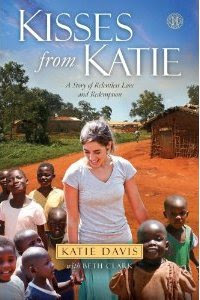 Me again...I want you to know that I was awakened at 1:37AM MST, Sept. 9, 2009,to a still small voice that said, "Pray for Katie in Uganda." So I did. I prayed for your safety and strength. Katie, is there anything you need? What can I pray for? I pray for Michael and Patricia (or Trisha as I call her as I have a Patrick in my life) but what else do you need prayers for? What can I do to help? Oh...sweet friend, I hear your hurt and share in your grief. God loved us first, we in turn love Him and bring Him glory that ONLY He deserves!! I love you dearly and I haven't even met you. You are my sister in Christ. I am praying for you, your kids, the ones that are to come. Don't lose heart, He has conqured the world!! The victory is ours!! Know that you are in my prayers. I am praying for you, for the girls and for all the children. Sometimes it is so difficult to understand the why of things.... but, the Lord is working through you and you are making a difference. Thank You Jesus for Katie and for her love for You. You inspire and challnge me to give more of myself (to hand over my loaves and fishes) as you do daily. I pray God multiplies all you give to Him so that you can meet the needs of the children and others and still have "12 baskets" left over. I have been spending a L O T of time thinking about Mary, who knelt at the foot of the Cross. Watching her sweet baby Boy, the baby Boy she knew was the Son of God, our Savior, watching Him suffer for us....as Jesus, Mary's sweet baby Boy, watched His Mother suffer, too!! Thank you for your words, today!!! You, your sweet children...all of them, however many you have today...and however many in your care tomorrow:) You are all covered in our prayers!!! PS We LOVE Brooke Fraser (on your playlist); did you know she is a part Fijian NewZealander? Thank you for sharing Katie. It was just what I needed to hear. I need to move the truths from my head to my heart. Do you mind if I email you? I'd like to talk a little bit but I know you don't have a ton of time. Every time I read this blog I am humbled and saddened. It's obvious to North Americans what is happening in the world - maybe we can't physically see it, but we do know it's happening. I pray that the 2.1 billion Christians will start to see things how you and so many others see them. I know you're not alone in your work, but it's probably tough not to feel lonely while doing it. I'm praying for you and your family. Everytime I read your post my heart changes for the best, my core is shaken and my life is re-evaluated. You are a truest blessing and are not only changing lives and bringing people to the Lord in Uganda, but in America as well. You are a blessing and my 2 year old and I pray for you every night and those sweet children. She says "tank you Desus for my Katie. Amen" Precious. You are a precious blessing. I am not sure what to do with all that I have read in your blog. Have I been faithful to pray for you every time I think of what you have written and all that you are struggling through....at times - yes and other times I stare out the window overwhelmed and shaking my head. Do I want to buy chickens - yes. Do I want to buy seeds - yes. Necklaces - yes. Is helping in that way enough to satisfy my soul - ???? Katie, you are on my mind all day long. The possibilities of these children being healthy and happy are in my mind right alond side of you. Can these children be adopted? Do you need others to come along side of you IN Uganda to help you? What is your hearts cry for these children? Be encouraged, Katie, that your life is awakening a sleeping body of believers (poopy sheets and all)!! Sometimes I don't have words...just know that I am still praying. Stay strong in Him. He will never, ever leave you. My little boy and I are praying for you and your girls! Thank you for posting! Thank you so much for sharing your heart for the Lord - you shine brightly!!! Yes, He chose suffering for me, and He allows my heart to be broken as His is by the suffering in the world, and then He chooses to share my suffering. Thanks for reminiding me what a privilege it is to share in the suffering of my Jesus. Bless you for your broken heart! Hi Katie. Just wanted to let you know that your words of honesty and inspiration are travelling around the world and are even leaving their mark on people "down under". I live in Perth, Australia and have been reading your blog for many months now. Thank you firstly for obeying God's call on your life each day and secondly for sharing your journey on the internet.You are a blessing!! LOVE it and love you. .LOVE that truth. So funny that you wrote this and this is exactly what we were praying for iFast this week. . .
Love what you ended with. .that He doesn't apologize for our pain. .He shares it. ooooh, I could just sink into that truth for bit and live there. . .
Love you friend. .Hey, I can't WAIT to be there to share this with you and fall on our faces together in the throne room. I just wanted you to know that another Southern girl is praying for you. God has led me to start an orphan care and adoption ministry within our suburban mega-church here in the South....something so sadly that has never been done but is so desperately needed. Yours will be the story of inspiration I hope to tell our hundreds of college/singles. May God continue to give you strength and everything you need to continue this great work He has begun in you. Your eternal rewards are endless. "Incline thine heart unto Me, and let thine ear be attuned to My voice. For lo, I would speak to thee, and I have an urgent message to give thee. Go not about to establish thine own designs. Lo, I have already set in motion My divine will and purpose and I would not have thee interfere. I am jealous about My children: Lo, they are Mine, saith the Lord; and ye shall not intrude in any way such as would hinder My plans from working out. Yea, ye may do many things, but only that which I direct thee to do can have My blessing upon it. Resign all into My hands -- thy loved ones as well as thine own self. Be obedient to the still small voice. Thine own imaginings may speak more loudly, but wait upon Me always. Ye shall see the wisdom and the glory in this in due time. Fret not about carnal things, but concern thyself first and always about spiritual values. Truly, My promise is still: 'Seek ye first the Kingdom of God, and all the other needful things shall be added unto thee.'" something i heard that you might enjoy. Hi, You don't know me but I just want you to know that every time I read your posts you really encourage me with your faith and love for the Lord. I am praying for you and your girls. I was just introduced to your blog and I wanted to say that I am praying for you and am so encouraged by your faith. I, too, was captured by the incredible children of Uganda last year on a trip to Gulu. What you are doing makes all the difference. Jesus said "whatever you have done unto ONE of the least of these, you have done unto me." Even just one! Keep on writing! :) God bless you. Every time I read your blog, I cry , I smile , I laugh. I only wish I could do what you're doing and share in what you have. I pray for you always. What you do is such a wonderful thing and a blessing to many. You open the eyes of many as well and show them a bit of the world and what needs to be done. YOU ARE A REMARKABLE PERSON AND MAY God bless you always. Please know that many pray for you and that God is always with you. Keep up your strength, go forward in what God has placed before you and keep posting on your journal for others to be aware . ONLY WHEN THE realize what is going on in the world then maybe their hearts will be open to share what they have also with others God Bless, big hugs. May I never forget to pray for you, dear sister! i wrote this a handful of days ago. seems right to leave it with you here. Oh katie... what can I say?????? Such wisdom comes only from God. I do not pretend to know the suffering of heart and body you have had to endure but your transparency to allow God to flow through your words is challenging, convicting, and deep down- earth shattering. I am not as naive as I once was to suffering. The church is waking up after a long sleep. I feel it in my bones. I have visited this blog often but have never left a comment. Each time I visit, I feel overwhelmed. God is using you to touch so many, in Uganda and abroad. May you feel the prayers of those like me who lift you up every time I visit. I hope that you don't mind but I placed a link to this blog on mine. Katie, My 5 year old and 3 year old and myself were praying for you and all the children you are so blessed to work with! We took great JOY in getting a box of supplies together and sending it off to you and the sweet children they saw on your blog. Thank you for everything that you are doing! We will keep you and the people of Uganda in our prayers. I am not sure if you get a chance to read all 80 comments on your blog but I just wanted to tell you how much your entry just touched my heart. I just spent the last 15 minutes crying over your words. I do social work in the states and I am confronted with heart breaking situations every day. I have been asking myself that very same question for the past two months. Why? and you are so right when you say that we should join in his suffering, that it is a privilege. Because I have really been waiting for the suffering to stop. I have been waiting to have answers from God. I have been feeling so helpless and frustrated. But in those times when I am looking into a child’s eyes and hearing the atrocities committed against them, God is there, he is with us in the suffering. Thank you for being real and honest. Reading your posts make me want to pack up my five kids and come and join your effort there in Uganda. I share your similiar passion, anger and pain every time I am reminded that a child is being aborted every minute somewhere in the world. The children we know here in America are not starving physically, but spiritually, mentally and emotionally they are suffering terribly. So, I keep telling myself what I can do as a mother of five small children here in my raggle taggle neighborhood is where God has me right now. Again, I share your pain and your passion for all of these dear children who God loves so much. And more than anything, you are in my prayers. "Come unto me all you who are heavy laden and I will give you REST." Praying for you in georgia. Thank you for following your call. praying for you here in georgia. thank you for following your call. You don't know me or my family, but we have been following your blog and praying for you for months. We are preparing to move to Guatemala to open a group home for children with special needs and your blog is a constant reminder of the faithfulness of God as we begin this new ministry. We are in your corner praying, and we are putting action behind our prayers. Thank you for loving the forgotten and showing what discipleship is supposed to be. My husband recently returned from Karamoja...our hearts have also been broken for the children of Uganda. We will meet you over there before long. Until then, be encouraged that we are praying and are thankful that you are there, loving the orphans. You know what I love about you Katie? When I read your words, it really isn't like I'm getting to know Katie. I'm getting to know Katie's Savior. I'm getting to know Jesus. He must have been so exhausted too sometimes. Surely he must have been tempted to wonder what's the use from time to time. He was overworked and WAY under appreciated and yet in his gentle strength, He changed the world. You go and do the same. Praying for you in Kansas. My son wants to know if you call your duaghters by the wrong name ever. (I always do that! He said, "she must say the wrong names all the time! :) I had to laugh) Thank you for you honesy and your love for Christ. I am moved by your blog every time In read it. Every night I sit down and read your blog I am reminded again that God is God. He is good. He is Love. And most of all, He's alive. His spirit moves within you and you so boldly proclaim the truth to us, your readers. I am blessed every time. I'm taken back to what matters. I'm taken out of my little comfort zone in America to the dirt roads of Uganda. It is here where Jesus speaks to my heart and says this is what matters. This is what I want from you. Not to move to Uganda (at least not now), but to love the fatherless. To give of myself. To be stretched. To obey. Thanks for sharing your heart and thanks for being the hands and feet of Jesus. Three days have passed since I stubbled upon your blog. 3 days, 3 years of postings. Your words touched my heart as I kept saying "i'll just read one more posting for now and then i'll stop". It often brought me to tears. Not a few tears; streams of tears and snot wiped away with my hands until they are so wet that I have to conceed to stop reading long enough to go wash my hands and find tissue. Thank you for sharing your life with so many, in Uganda, and on the other side of the globe. I know this post is old but I have spent the past three days reading all of your blogs up until this point. I just wanted to let you know that you are my second role model. First is Christ and next is you. I have never heard of a woman so dedicated, in love with the Lord the way you are. I am the same age as you are and it makes me feel like I havent done enough and you push me to do even more. Thank you for rekindling my light. Thank you for reminding me that even though my child is no longer with me, God does all things for good. Thank the Lord he sent me here to see the love of others.